Holiday Hamster is an independent UK based Travel Agent with offices located in Ripponden, West Yorkshire. “Wheel Run Around for You” and take the stress out of booking by creating a bespoke holiday to suit your individual needs. Fully ATOL Protected*, Holiday Hamster can create tailor-made packages for Honeymoons, City Breaks, Disneyland Paris, Family Holidays, Walt Disney World, Stag & Hen Parties, Beach Holidays, Cruises or Special Occasions to name but a few. Holiday Hamster is part of The Global Travel Group and thus has access to a plethora of suppliers and tour operators. This allows us to offer our customers some of the keenest prices and special offers around. *ATOL Protection for your holiday – any overseas holiday you book with us with flights from the UK is fully protected. As members of the Global Travel Group, your package holiday is covered by ATOL licence (No. 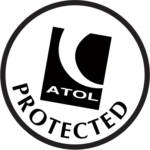 3973) ATOL stands for Air Travel Organisers Licence – it gives you protection from being stranded abroad should an airline or other service provider stop trading.